Thank you to everyone who has already sent in work for the upcoming issue - we are now going through and selecting our favourites, and working on getting the magazine together! The good news is we have extended the deadline till next Tuesday for you to get any last minute work in. 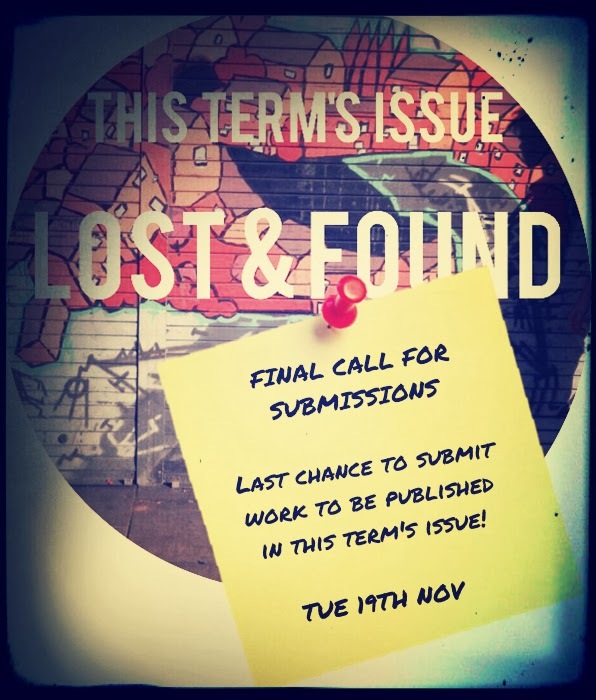 Remember, anyone can send in their work - we love seeing new submitters! 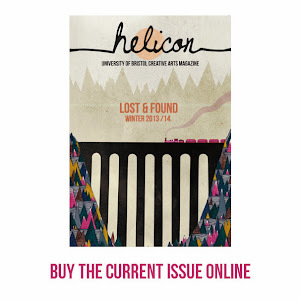 All you need to do is email your work (either prose, poetry, photography or art) that is in keeping with this term's theme 'lost and found' to helicon.magazine@gmail.com and we will potentially publish it in our next issue! artwork and writing, completed by Bristol students and local artists. This is the final...final deadline! We look forward to seeing your work!